Airport Terminal A — Market St. At 5th St.
Virginia Beach to Chincoteague Island is an approximately 2.5-hour car ride. You can also take a bus; or take a bus. Expect a daytime high around 82°F in June, and nighttime lows around 66°F. Cap off your sightseeing on the 12th (Wed) early enough to go by car to Gettysburg. Start off your visit on the 22nd (Sat): steep yourself in history at Cape Hatteras Lighthouse, shop like a local with Pea Island Art Gallery, Salvo, NC, then view the masterpieces at Kinnakeet Clay Studio & Showroom, and finally stroll through Haulover. Plan trip to Hatteras Island with our itinerary maker to find out where to go and what to do. Traveling by car from Nags Head to Hatteras Island takes 1.5 hours. In June, plan for daily highs up to 83°F, and evening lows to 71°F. Wrap up your sightseeing by early afternoon on the 23rd (Sun) to allow enough time to drive to Wilmington. On the 24th (Mon), stroll through Wrightsville Beach Municipal Complex, contemplate the long history of Airlie Gardens, and then examine the collection at Museum of the Bizarre. Traveling by car from Hatteras Island to Wilmington takes 6 hours. Alternatively, you can do a combination of ferry and car. In June, plan for daily highs up to 88°F, and evening lows to 70°F. Wrap up your sightseeing on the 24th (Mon) to allow time to drive to Tybee Island. Tybee Island is a city and barrier island located in Chatham County, Georgia, 18 miles (29 km) east of Savannah, United States. 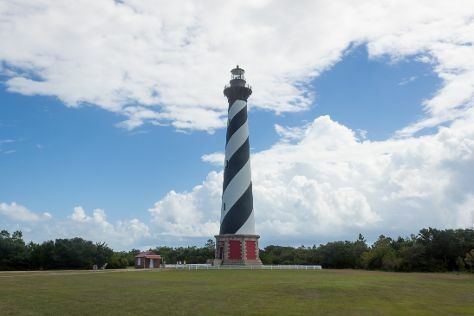 Start off your visit on the 25th (Tue): stroll through North Beach, make a trip to Cockspur lighthouse, and then visit a coastal fixture at Tybee Island Lighthouse Museum. Traveling by car from Wilmington to Tybee Island takes 6 hours. Alternatively, you can do a combination of flight and taxi; or fly. Expect a daytime high around 87°F in June, and nighttime lows around 73°F. Finish your sightseeing early on the 25th (Tue) to allow enough time to drive to Jekyll Island. Kick off your visit on the 26th (Wed): identify plant and animal life at Georgia Sea Turtle Center and then stroll through Driftwood Beach. Drive from Tybee Island to Jekyll Island in 2.5 hours. Alternatively, you can take a bus. In June, plan for daily highs up to 88°F, and evening lows to 74°F. Finish up your sightseeing early on the 26th (Wed) so you can travel to Miami. On the 27th (Thu), examine the collection at Vizcaya Museum and Gardens, then contemplate the long history of Deering Estate, and then explore the world behind art at Perez Art Museum Miami. Fly from Jekyll Island to Miami in 6.5 hours. Alternatively, you can drive; or do a combination of bus and flight. 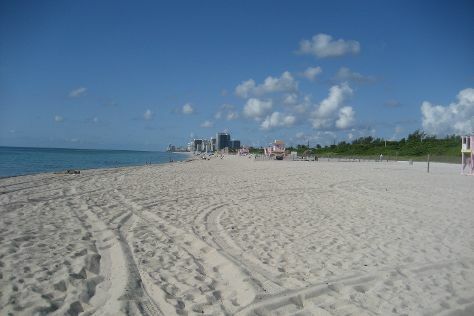 June in Miami sees daily highs of 89°F and lows of 77°F at night. Finish your sightseeing early on the 27th (Thu) so you can travel to Key West. On the 2nd (Tue), look for all kinds of wild species at Jean Lafitte National Historical Park and Preserve. Keep things going the next day: take in the spiritual surroundings of St. Louis Cathedral, stop by Faulkner House Books, then examine the collection at The National WWII Museum, and finally take a stroll through Garden District. Getting from Key West to New Orleans by flight takes about 6.5 hours. Other options: do a combination of shuttle and flight; or drive. Due to the time zone difference, you'll gain 1 hour traveling from Key West to New Orleans. When traveling from Key West in July, plan for little chillier days in New Orleans, with highs around 80°F, while nights are about the same with lows around 80°F. Finish up your sightseeing early on the 3rd (Wed) so you can go by car to Vicksburg. Vicksburg is the only city and county seat of Warren County, Mississippi, United States. Kick off your visit on the 4th (Thu): explore the galleries of U.S.S. Cairo Museum, then examine the collection at The Old Depot Museum, then examine the collection at Jesse Brent Lower Mississippi River Museum and Interpretive Center, and finally steep yourself in history at Anchuca Mansion. Get ready for a full day of sightseeing on the next day: contemplate the long history of Grand Gulf Military Park, then take in the history at Vicksburg National Military Park, then take an in-depth tour of Old Court House Museum - Eva W. Davis Memorial, and finally ponder the world of politics at Old Courthouse. To find where to stay, ratings, maps, and more tourist information, refer to the Vicksburg day trip tool . Traveling by car from New Orleans to Vicksburg takes 4 hours. Alternatively, you can do a combination of train and car; or fly. When traveling from New Orleans in July, plan for somewhat warmer days in Vicksburg, with highs around 91°F, while nights are slightly colder with lows around 72°F. Wrap up your sightseeing on the 5th (Fri) to allow time to travel to Bentonville. Primarily known as the home of Walmart’s corporate headquarters, Bentonville embodies small-town America. Your day-by-day itinerary now includes Crystal Bridges Museum of American Art. On the 6th (Sat), explore the world behind art at Crystal Bridges Museum of American Art, take an in-depth tour of Shiloh Museum of Ozark History, then witness the site of a historic battle at Pea Ridge National Military Park, and finally sample the tasty concoctions at Ozark Beer Co.. On the 7th (Sun), you'll have a packed day of sightseeing: take in the spiritual surroundings of Mildred B. Cooper Memorial Chapel, contemplate in the serene atmosphere at Precious Moments Park, then take an in-depth tour of Baxter Springs Heritage Center and Museum, and finally stroll through Bentonville Town Square. For reviews, maps, traveler tips, and tourist information, use the Bentonville tour builder site . Traveling by combination of flight and taxi from Vicksburg to Bentonville takes 5.5 hours. Alternatively, you can do a combination of car, flight, and taxi; or drive. In July, daily temperatures in Bentonville can reach 87°F, while at night they dip to 69°F. On the 8th (Mon), wrap the sightseeing up by early afternoon so you can travel back home.